I am not a huge veggie lover. I admit it. I love fruit - all kind of fruit. But getting a variety of veggies in can be difficult for me. I mean I enjoy vegetables, but just not in the raw form, mostly. So I have been trying to sneak more veggies into our meals. I recently posted Beef & Broccoli, which is a great dinner to serve and get it in. But my friend told me she made beef and snow (or snap - I can't remember) peas and I figured I could make that, totally! 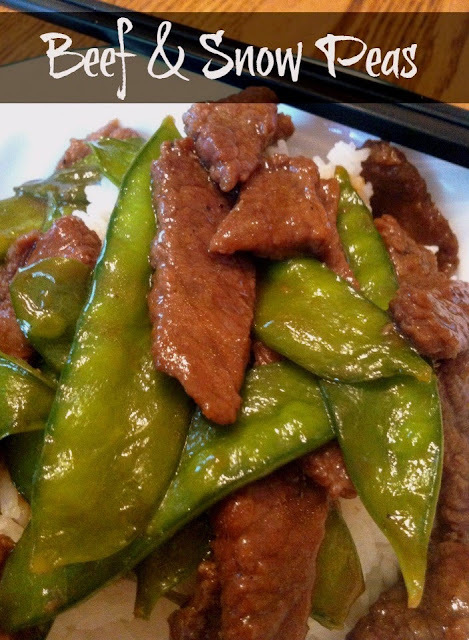 When we eat chinese I like to order beef and snow peas, so I am not sure why it never dawned on me to make it for dinner. Definitely a duh moment for me. I just love seeing those little peas in the pod. To make this easier, I bought the ready-to-steam bag of peas from the produce department. Perfect amount, and they are already cleaned! I did pull that little steam off though - I think that is a matter of preference. The same goes for the type of peas. I opted for snow peas (or Chinese peas) but I am sure that sugar for snap peas would work just as well! In a wok or large skillet, heat the oil over a high heat. Add the ginger and garlic to the beef and toss to coat. Pour in the soy sauce and rice wine vinegar, mixing well. Add the brown sugar and cornstarch. Bring to a boil, reduce heat and let sauce thicken. 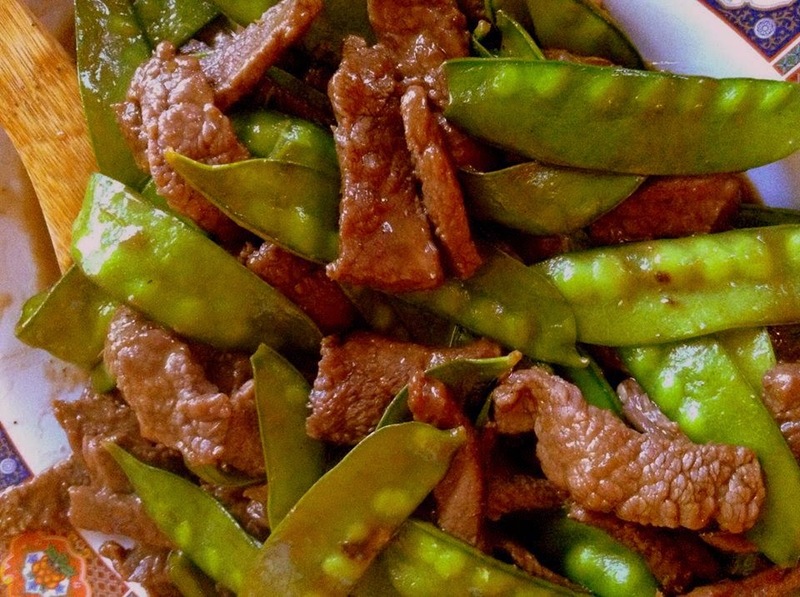 Add the snow peas, combine with the beef, so it is well combined and the peas are coated in the sauce. Let cook for an additional minute or two - careful not to make peas become soggy. This looks wonderful, and I think I could eat it!! !